After packing up my things in a last minute rush (thanks Tessa!) I said my goodbyes and rushed through to the plane. I boarded and sat and slept. Mostly I wait until I board a plane to cry but this time there were no tears, just happiness and a slight feeling of being overwhelmed. Brisbane airport staff were particularly friendly and chatty. I made it through customs easily, despite all the potential issues with my bags like carvings. But, after declaring all the items, I made it through and was greeted by a happy, smiling face. Now, after a long journey like the eight months I had in the Sols, nothing NOTHING is better than being greeted by a friend, especially one you haven't seen in a long time. I met Bonnie over last Christmas holidays and I must say, she is one of the most enchanting and fun people I have ever had the pleasure to meet. We drive along the highway and I feel completely disoriented. Every small thing becomes large and in focus. It was like being stuck in a slower speed while everything around me was trying to move fast. I find the feeling disconcerting and its great having Bonnie there to ground me. Bonnie is a perfect companion; soft, gentle and patient with my disoriented ways. She takes me to one of my favorite type of food resturants: mexican. When I get up to talk to the lady behind the counter, I speak in pidgin, forgetting where I am at. She looks at me confused (apparently, English isn't her first language, adding to the confusion) and I quickly remember and order in english. Phew! After a walk around, I'm amazed at a couple of things. First, how tidy and clean everything is. The extreme wealth is also difficult to fathom and the variety of choice. I breathe through it and try to act as normal as possible. We have a great meal and a laugh. But around me everything is moving at speed, with I-Phones and I-Pads...I feel like a country bumpkin. And its bizarre; I've only been away eigth months but I feel intensely disconnected from the world around me...I start to miss the roasted chicken cooked on large, blackened rusty barrels. 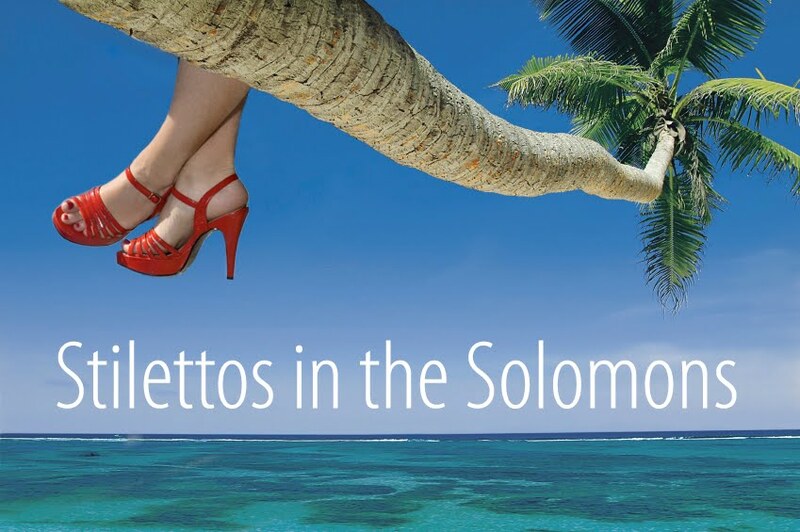 I miss the lack of caring about what everyone is wearing; style and fashion aren't high priorities in the Solomons. I miss the warm, smiling faces. Everything feels sterile and cold. I would get a greater shock going into Christchurch. I've made a habit to get to the airport early; I've had too many close calls and stress outs. I've learned. I've grown. I make it to the airport early, without stress. And it helps me; the flight staff seem more friendly when you aren't running late or looking stressed. I board the plane and I see black leather seats. Without tears or holes or rips. I see perfectly manicured faces and hands. Everything is immaculate. And cold. I arrive in Christchurch, again greeted by friendly people but there is an odd stare in the eyes of Christchurchians. A sadness, a tiredness from the earthquakes. As I leave the terminal, I am greeted by another friendly face with big arms to hold me, my good friend Jamie, who has been a faithful companion and drinkng buddy for years. It feels wonderful. I'm whisked away from airport to a cafe where I meet up with friends for a good chat. The rest of the two days seems a total blur but I manage to get a mobile phone, do a bit of shopping, pack up Jeepie (my faithful faux Jeep), have a party with some old friends and give away half of what I kept storage. I always find it interesting how people respond to you when you return. Some are slightly off put by you leaving in the first place, others are cold, some want to make it clear that they have moved on with their lives and don't have space for you anymore. Others are warm, loving and happy to see you. I am lucky in that the vast majority of my friends fall into the last category. I arrive at the pub for my welcome back party early. No one is there and I'm worried that no one will come. The pub is packed so I have to sit with an unfriendly young man who begrundgingly shares his table. After about 20 minutes, John, my mentor swings through the door. I'm so happy to see him and share my thoughts about the Solomons. John was one of the main inspirations for me going to the Solomons and I owe him a lot and a personal inspiration. We chat happily while I sip on my whiskey. As much as I love the whiskey, somehow it seems less important and less special. I'm much more interested in catching up with John. Friends arrive with gifts and hugs and smiles. As time goes on, and "my peeing on myself" story gets told one too many times (someday I will relay that story on this blog...but not today). I get the growing sense of how time has passed for my friends in the Shaky city. Many looked tired and worn from the shaking. Most of them work in the emergency management field or for councils, so they have been worked off their feet. I felt slightly ashamed; these people had WORKED for the city I loved and I had to walk away and go to the Happy Isles to finish my contract. But no matter, they laughed and smiled and shared with me their stories. I leave the pub late, feeling happy about the friends who showed up to wish me a good homecoming. H and I pack up the rest of my stuff and take off in Jeepie to Kaikoura, one of my favorite places in Canterbury. Its hard not to absolutely love Canterbury in the spring and H and I spend the time chatting cheerfully. We meet up with some good friends and spend the night in long chats, under duvets because its cold (at least for me). The purpose of going to Kaikoura, other than seeing the beautiful views, was to dive. However storms prevent us from diving and in truth, I'm a little relieved. My body still hasn't acclimitised yet to the cold and I'm not sure how it would fair under these conditions. Time goes too quickly and before I know it, I'm leaving Kaikoura in Jeepie, alone. The drive is beautiful, with the sea waves rolling lazily along the jutting, rugged coast line. There is no radio and so I drive alone, with my thoughts, uninterrupted. I arrive early into the beautiful Picton (something about this being early business...I'm really enjoying it). I walk around Picton and realise how much the small city has changed. With a huge variety of cafes and tourism shops, the Sounds have clearly become a larger tourist draw than I remember. I doddle around, enjoying my own company and I wonder to myself if this is what life will be like from now on; me, alone, adventuring with Jeepie. The thought should fill me with dread but it doesn't. If the past year and a bit has taught me anything, its to be comfortable being alone and enjoying my own company. Time flies by, again, and Jeepie and I board the ferry first. It seems like I'm being rewarded by the Universe for my on time behaviour until I get stuck behind the stinky stock trucks. The cows look at me through grates; large lashed eyes looking for escapes or even a sympathetic face. I smile and chat to them...the driver looks at me like I'm slightly mad. Maybe I am; I haven't seen a cow in eight months and its made me a little odd. The ferry is beautiful and with many little knooks and crannies, one can easily find a place to sleep. Which I do, until a guitar and banjo player start up in the bar. Their beautiful tunes lift my already happy spirit and I leave for a moment for the upper decks. As I look out across the water, I see the faintest of outlines of the Kaikoura Mountains. I mentally bid farewell to the South Island...but of course it isn't farewell, not forever. And I can't help but feel like, even though I may come and go from New Zealand or the Solomons or the U.S. or wherever I decide to travel, the South Island is a home to me, always. But whatever is coming, I'm ready. Editors note: I'd just really rather it not involve me peeing on myself again. Cause that was no fun. Just sayin.